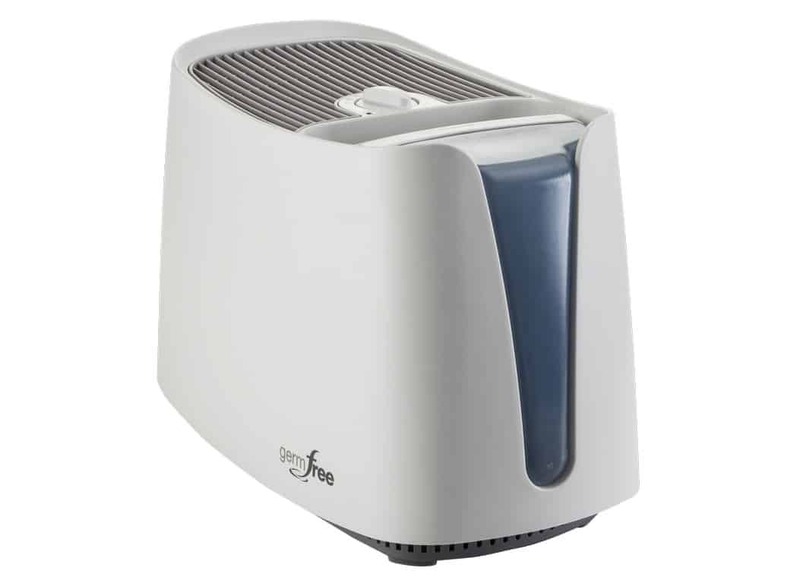 Honeywell HCM-350 is Germ-Free Cool Mist Humidifier is portable, disperses 2 gallons (7.6 liters) of mist per day, and covers up to 360 square feet (33 square meters). Honeywell HCM-350 has a stylish design. The water tank has a smooth bottom design and the handle is one of the most comfortable and well balanced on the market. That makes the Honeywell HCM-350 very easy to fill. Also, the lid is easy to get off and on. Filling this humidifier is a pleasure. Honeywell HCM-350 is 12 inches high, 18 inches wide and 10 inches long in depth. Quite a big size but the weight is only 9.9 pounds. You can easily place it whenever you want – table, nightstand etc. 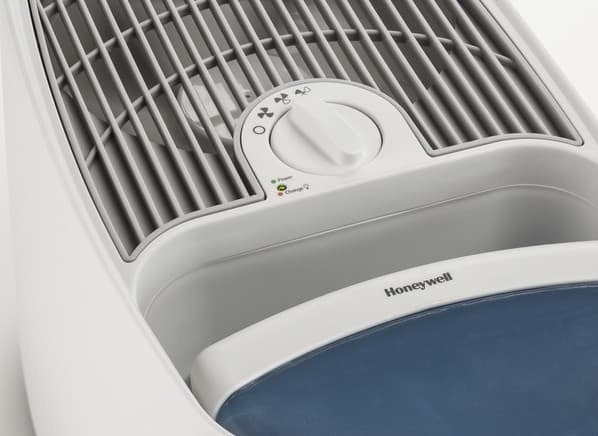 The Honeywell HCM-350 Cool Mist Humidifier has an evaporative technology. The cool mist is regulated automatically. 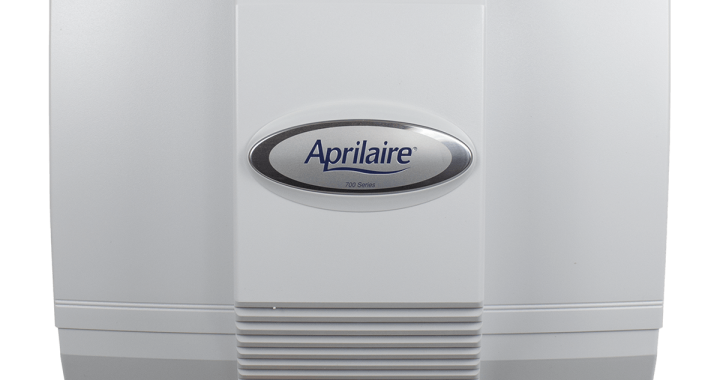 The mist output simply adjusts to the perfect amount for your indoor air temperature. 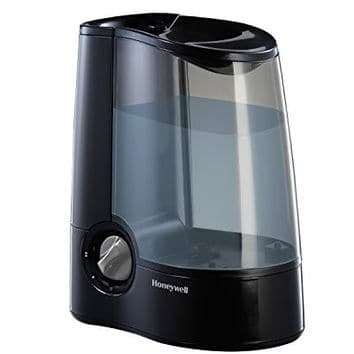 The humidifier has 3 speeds. 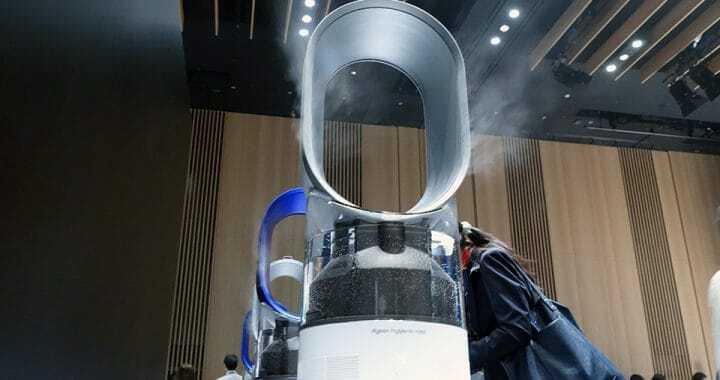 Great if you want to choose quieter and lower mist output or on the contrary. About easy refill reservoir, I already wrote before. But I can write again. The reservoir has a handle and it is very easy to refill the tank. UV technology kills and destroys up to 99.9% of harmful bacteria. You can wash the water tank in the dishwasher. Yes, it is dishwasher-safe. 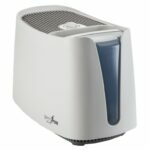 On the low-speed humidifier runs up to 24 hours. 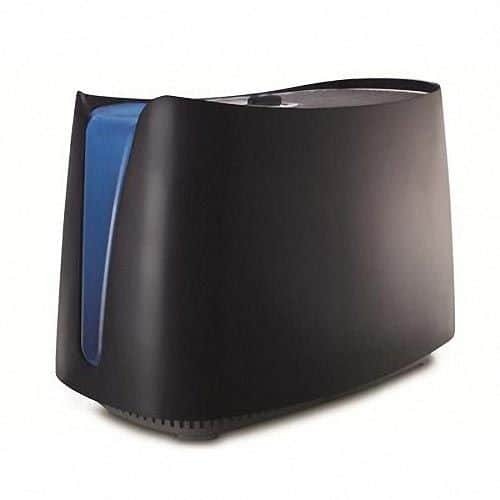 On low-speed, the humidifier is whisper quiet. On high speed, it sounds like a fan. The Honeywell HCM-350 is ideal for people who like a light background noise while resting or sleeping. The maintenance is easy. 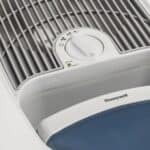 If you are using the humidifier every day than you have to refill it once a day or more. All the rest maintenance depends on how clean water you use. 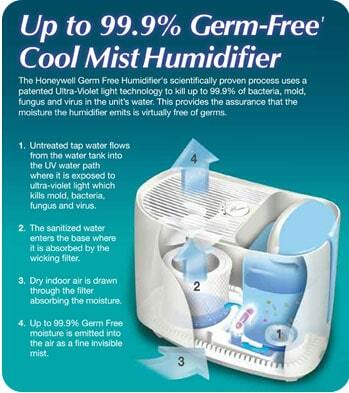 But optimally clean the humidifier every 3-4 weeks. Clean the water tank and soak the filter in a vinegar/water, it can get crusty. Honeywell HCM-350 is quiet, easy to set up and use, and easy to maintain. The Honeywell HCM-350 was recently recommended by a leading consumer reporting magazine. 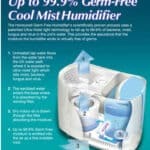 Posted in Humidifier Reviews, Reviews and tagged Cool mist, Cool mist humidifiers, Humidifier, Vicks. ← What Is Pet Dander?